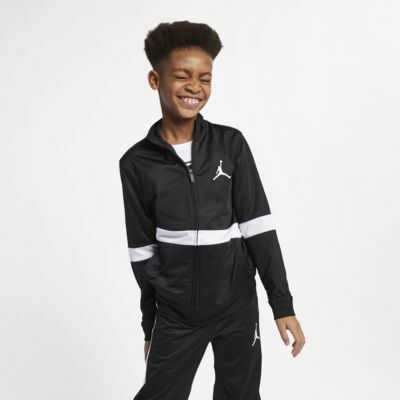 The Jordan Sportswear Jacket is made from soft, lightweight tricot fabric for comfortable, everyday style on or off the track. Side pockets offer easy-access storage. Full-length zip with zip guard helps keep warmth in and cold out. Have your say. Be the first to review the Jordan Sportswear Diamond.